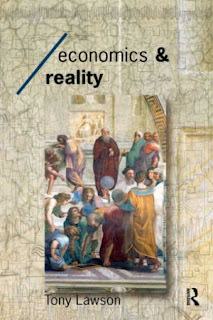 There is an increasingly widespread belief, both within and outside the discipline, that modern economics is irrelevant to the understanding of the real world.Economics and Realitytraces this irrelevance to the failure of economists to match their methods with their subject, showing that formal, mathematical models are unsuitable to the social realities economists purport to address. Tony Lawson examines the various ways in which mainstream economics is rooted in positivist philosophy and examines the problems this causes. It focuses on human agency, social structure and their interaction and explores how the understanding of this social phenomena can be used to transform the nature of economic practice.Economics and Realityconcludes by showing how this newly transformed economics might set about shaping economic policy.